While we all love a destination, the getting there can be a drag. Packed planes, long lines, gross cabins, the entire thing can take a toll. Especially on your face. I ALWAYS break out after a flight. So in an effort to try and find some balance while my skin is obviously in freak out mode, I have tried this little routine on my last few trips. 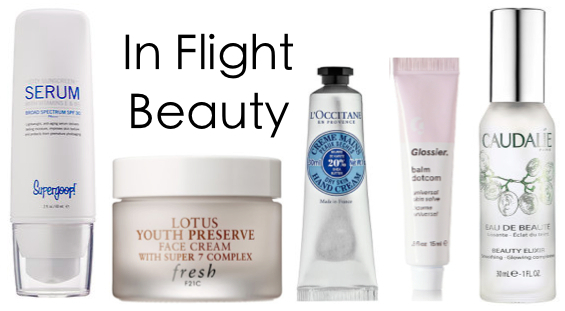 It also feels a little luxurious to use nice products mid air, even when I am wrangling little ones. Everything is TSA approved size and leaves room for your other products.